Two of the best garage door companies in the industry are Haas Doors and Amarr. Handyman Garage Doors NJ carries and stocks many of these doors. Furthermore, each door is a different material, size, and color. You can choose your liking and add windows or special hinges. Our professional installers will help you choose a door that fits perfectly to your home. The convenience of a garage opener is unmatched. Many garages are used as an entry point to your home. Having a smooth working opener without problems makes life so much easier. We are fully stocked with Chamberlain and Liftmaster garage door openers. Its the holidays and you are way to busy to focus on repairing a garage door problem. Maybe its just the weekend and you rather sit and spend time with the family. Furthermore, its freezing cold outside and you just don’t have the energy to try repairing a garage door on your own. This is when we come into action. 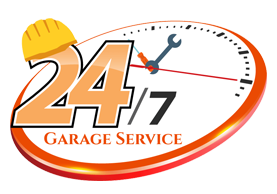 With 24/7 garage door repair emergency service we will get the job done quickly and effectively. DIY Garage door spring repair? Is it a good idea?